Rely on UYEE as your manufacturing partner for metal custom components or plastic custom component parts throughout China. We have a broad range of multiple axis CNC Turning & Machining centers. Our experienced engineers and machine operators take advantage of the state of the art machines. We have machines in a variety of bore sizes and bed lengths. Our team has the capacity to manufacture very complex parts with shorter lead times in both production and prototype parts. Whatever your requirements for your short run production needs and CNC Machining Services, contact us for a free quote (service@uyee-rapidprototype.com). We use current Computer-Aided Design (CAD) and Computer-Aided Manufacturing (CAM) programs that handle a range of production sizes. Our modern CAD / CAM systems ensure you get a fast turnaround, strict quality control and competitive pricing. Our design and engineering team enjoys getting the highest efficiency out of every job for our clients, and We never let them down. We keep at the forefront of rapid CNC machining and milling technology. We maintain and upgrade our CNC machines at our shop to ensure maximum reliability and optimal performance. Our goal is to give you and our clients quality, price, reliability and great service. We are confident that we can reproduce any existing component to the same or better standards and quality as the original. Our engineering teams will develop and manufacture new parts with your specifications. We will dedicate ourselves to developing quality relationships that result in continuous improvement in communication and teamwork, both internally and with our customers. We are able to machine plastic and metal prototypes from your 2D or 3D CAD data. Should you need to get a prototype in the correct material then CNC machining is a great option. It will not only give you more realistic performance as its in the correct material, but has the added bonus of being more accurate than traditional SLA or SLS prototyping technologies. Sometimes, CNC Prototyping Cost will be more efficient, especially for large size prototype model. We will meet these expectations with a sense of urgency and a high degree of accuracy, assuring that our customers receive what they need, when they need it, in a condition that they expect. Our engineers are thoroughly aware of the capabilities of our CNC machines and are willing to suggest tweaks in a design if a small change will enable a cost saving. We’re here to help, to make your project a success so you look as good as the quality, precision components we manufacture on your behalf! Our staff takes pride in our on-time delivery and meticulous attention to detail and our customers know they can rely on us to get the job done on time. From prototype to short, medium run production, our Company has the capacity to handle a variety of production needs for a range of industrial applications. From product design through to prototype & product manufacture, UYEE is proud to offer any or all of the services involved. We are happy to take ownership of the entire process, or equally comfortable to inject our expertise at the key stages where our clients do not have embedded capability themselves. We are equally adept at producing prototypes, manufacturing production components and providing ongoing engineering support, or reverse-engineering existing components originally made by other companies. In this case, it is common for our clients to have no details of OEMs, or simply to want to reduce costs when OEMs are based overseas or otherwise no longer cost competitive. It is unusual in the modern age to be able to operate as a professional factory. 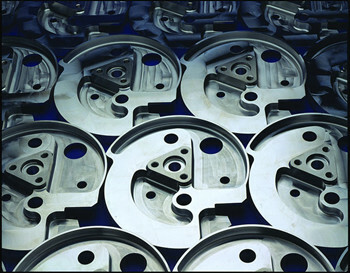 As a long-standing business—involved in CNC Prototype China and short run production for over 12 years. UYEE prides itself on the personal level of service and the breadth of expertise that we can offer. In-house design and manufacturing ensures that high standards and quality adherence remain within our strict control. We deliver quality service and quality components, quickly, accurately and cost competitively. Our wide knowledge of engineering practices safeguards your production success.